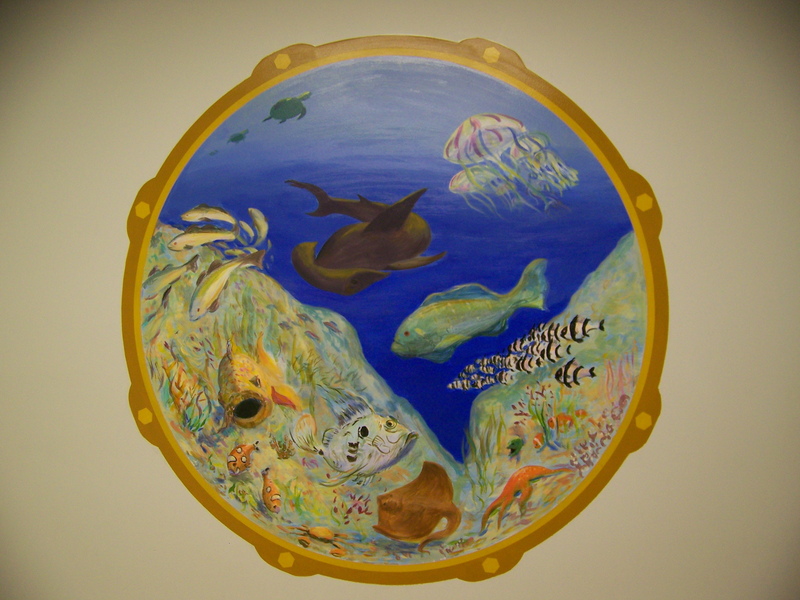 A local artist and friend of Dr. Menard's, painted beautiful murals on the wall in a couple of our exam rooms. Ocean Room was one of the original exam rooms before the addition in 2003. 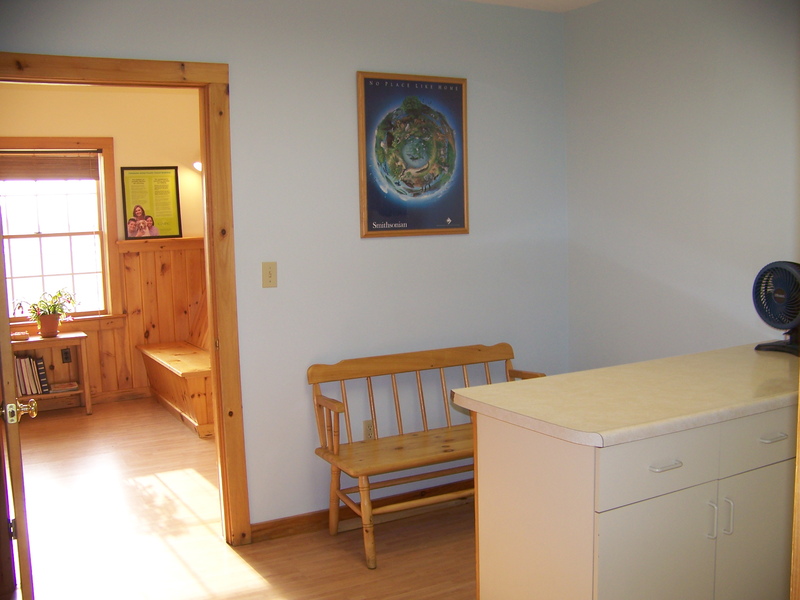 This "port hole" ocean view keeps the children busy searching for Nemo while their pet is being examined by the doctor. More of Gabi's artwork can be seen in our Dog Room.